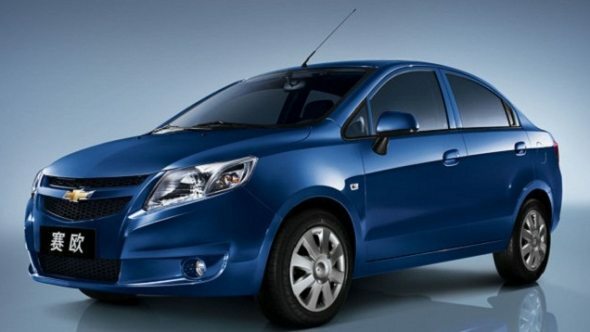 General Motors (GM) India is planning to launch the China-specific Chevrolet Sail small car and sedan in India which will replace the Aveo U-VA and Aveo sedan presently being sold in India by 2012. The Chevrolet Sail small car and sedan sold in China are powered by GM’s latest S-TEC 1.2 litre and 1.4 litre petrol engines which are equipped with variable valve technology. The S-TEC 1.2 litre engine in the Sail small car is same engine that powers the Chevrolet Beat small car sold in India at present. The S-TEC engine has decent performance and at the same time returns a good mileage. The Chevrolet Sail small car and sedan could have many parts in common; similar to what Maruti Suzuki did with the Swift and Swift Dzire. This will allow GM India to pitch the Sail twins in a highly-competitively market at aggressive prices and may help them boost sales. Currently, GM India’s hot selling models include the two small cars, Spark and Beat and the mid-size luxury sedan, the Cruze. However, the sales of other cars like the Aveo U-VA small-car, the Aveo sedan and the Optra sedan have dipped below the average for the past several months. The dated design, average performance and outdated features offered on these cars have been the chief factors discouraging buyers from investing in cars from the brand. If the company retains the looks of Chevrolet Sail twins sold in China and offers ‘value for money’ features coupled with frugal engines in India, GM India could attract many new buyers. GM India will launch six new passenger cars within the next two years. This will include the Sail small car and sedan. The company will invest almost $100 million in the next 12 months for production of both passenger and commercial vehicles. GM India will soon foray into the commercial vehicle segment by launching a light commercial vehicle (LCV) this year.